More than half of them sent to China; some families split up. No apology ever rendered. It’s a chilly November morning in Makum, a small town in upper Assam that takes its name from the Chinese word for ‘meeting point’. At a little roadside shanty, a gaunt, unkempt man with distinctly Mongoloid features, reeking of stale alcohol, is making coffee for customers. When we ask him his name, he darts a dagger glance at us, before going back to tossing hot brew into glass cups. “Why do you want to know my name?” he asks suspiciously. “He doesn’t want to reveal his name,” whispers a customer, “because he’s afraid someone will come and arrest him for being Chinese”. As it happens, Michael Shang—yes, that’s his name—is not Chinese. He is an Indian; a descendant of Chinese settlers in Assam, hailing from a family once among the wealthiest landowners in Makum. That was before the Indo-China War broke out in 1962. As the family was caught up in the war and its aftermath, it lost everything. The shop is all that Michael now owns. So, like many other Chinese-Assamese living in this region, he fears undue attention—a fear rooted in the fact that over 2,000 men, women and children of Chinese origin were rounded up from the Northeast in Nehru’s India and placed in what were, if not concentration camps, miserable places for innocent people to be in—some for as long as six years. More than half of them were sent to China, leaving family members behind. 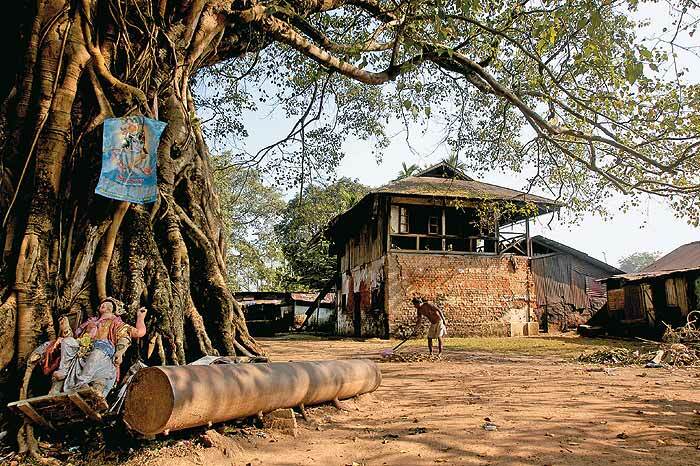 For close to fifty years, the story of the travails of this community has largely remained buried, but a novel by Assamese novelist Rita Chowdhury, Makam, who stumbled upon it on during a chance visit to Makum four years ago, has brought attention to its forgotten plight. Much needed attention, because this is not just a grim but a salutary tale. Echoing the story of how the United States—when it was at war with Japan during World War II—rounded up and quarantined Japanese Americans, it is a tale of how a liberal democracy got away, without a murmur of protest, with racial segregation of a community and the severe infringement of its personal liberty, thanks to a war. By 1962, Makum had come to be known as a ‘China colony’ with a thriving Chinese population of close to 2,000 people, and when war broke out, all these people, both ‘pure’ Chinese and all those of mixed blood, whether with Chinese passports or Indian, were tarred with one brush, and became objects of deep suspicion for the Indian authorities. Unlike people of Chinese origin in other parts of India, they lived close to the Chinese border, from where infiltration was suspected. Most of the first arrests took place in Makum—in the dead of the night, with police and army officers, polite but very firm, knocking on the doors of houses, and asking those who were Chinese, half-Chinese or with Chinese blood, to go with them. As witnesses, still to be found in Makum and Shillong, recall, they were told it was for their protection, that they would only be gone for a few days, and should leave their belongings behind. In reality, they became prisoners of war. Others remember the Deoli camp. 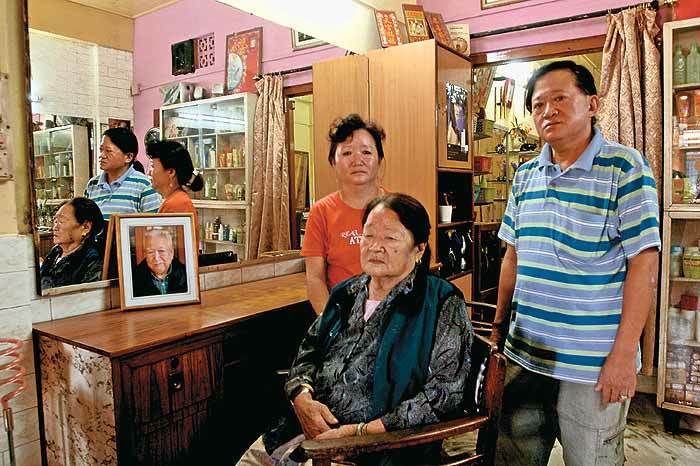 “It was near the Pakistan border and perhaps meant for Pakistani prisoners of war,” recalls 78-year-old Lee Lan Yun, the oldest surviving person among the Shillong Chinese taken to Deoli. “It was a huge area fenced in by barbed wires. I used to feel claustrophobic.” Some families got a barrack, and some semblance of privacy, but many were herded together in dormitories. The searing heat got to the northeasterners, they tried to cool their habitation by covering windows with cloth and pouring scarce water on them. None of those housed in the camps report torture or sexual harassment, but there were other miseries to deal with. There were, for instance, swirling rumours about who would be deported to China; one was that the menfolk would be deported, and women left behind. There were mini-rebellions in response; finally, entire families were given a choice: would they want to stay in India, or go to China. Willie Ho remembers being told by his father, C.M. 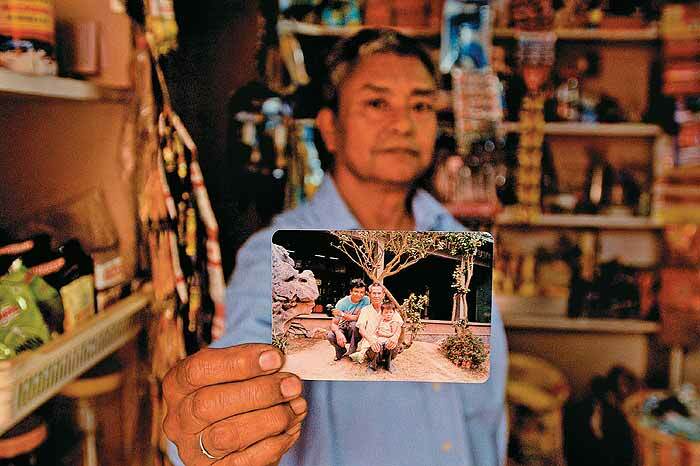 Ho, “They made it sound like a choice, but they were actually asking us to go back to where we belonged.” The Ho family were among the very few who returned to Makum, to reclaim their property; about 1,500-odd Chinese-Assamese are said to have been deported to China, leaving their property behind, and losing it forever. Much of it was apparently auctioned, and snapped up by locals. Her fiance C.M. Ho was arrested and taken away to Deoli camp just a few days before their marriage. She waited five years for him to return, after which they finally got married. In her 70s and bedridden, she says: “Some of my friends advised me to forget him and marry another man. But I had set my heart on him, so I waited.” Seen here with son Willie and daughter-in-law Mary. 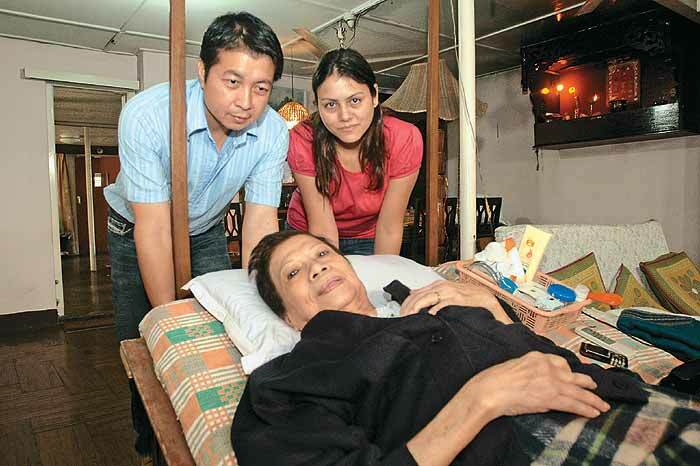 “The word ‘Enemy’ was painted across the train and the locals were pelting stones at us,” recalls Wong Ye Hoi, 88.